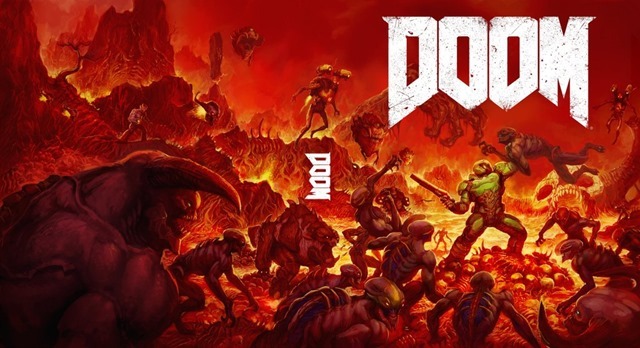 When DOOM revealed its box art, people weren’t exactly crowding around their browser and whispering “aaaaawwwwwww yeeeeeaaaaaah” at the high resolution JPEG. If you’ve ever had any graphic design experience, you can see that the cover itself is just terrible. It relies too much on a dark shade of orange, much like Hollywood posters do these days when they juxtapose that colour with teal. The main character is posed in a stock standard position that could make you confuse him for a Crysis or Halo character. The negative space makes the character look like he has been forcibly squeezed into the cover. Basically, it’s a piece of box art which just doesn’t pop at all, and feels more like a Battlefield or Call of Duty case clone. 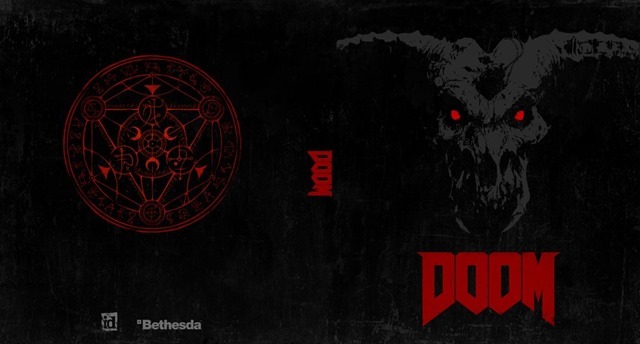 Thing is, id Software isn’t ditching that cover, no matter what the fans have to say. What they are doing instead however, is proving an alternative cover in a reverse sleeve for Doom. Whoops, wrong one. Here we go. Option B is my personal favourite. It’s a beautiful homage to the original DOOM, a game that was so gory and demonically violent when it was first released, that it looked like a Megadeth album come to life. And that’s the kind of artwork that DOOM needs to sell itself. Blood! Demonds! Guns! Chainsaws! Now that’s how you market DOOM. Cover option A isn’t too bad either, adopting a “less is more” approach that looks like a Rob Zombie Ouija board, except you’re not actually throwing your money at a completely pointless superstitious board game designed to milk money from tourists and teenagers who want to contact the dead for reasons. Remember, DOOM is getting a beta just before launch, although details on when that is going down, still need to be ironed out before the May release of the game on Xbox One, PC and PS4.